Car Cosmetics Derby Limited is a local independant vehicle bodywork repair specialist. We provide a complete service for all your vehicle bodywork requirements from repairing and painting scuffs and scratches to colour coding, complete full body re-sprays, panel and bumper repairs or replacement right through to rust and restoration repairs or more serious accident damage. 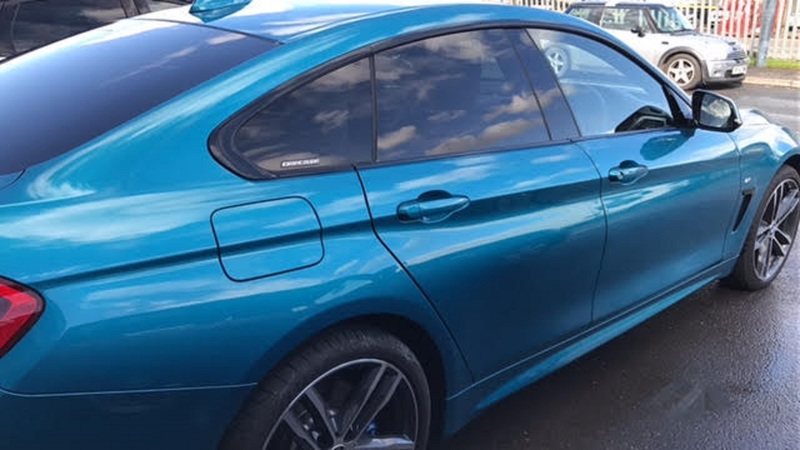 In addition to our full bodyshop services we can also provide small cosmetic vehicle repairs, paintlesss dent removal, alloy wheel refurbishment and plastic or metal welding. We are located close to the centre of Derby on the West Meadows Industrial Estate. Exit off Pentagon Island near to the A38 and A52 highways close to Derby City Centre, Pride Park and Derby Cattle Market. Our experienced team deliver a friendly and reliable service for private customers, local businesses, motor dealers and leisure vehicle suppliers. We can also supply free Insurance company estimates if required. There is no need to make an appointment to get an estimate as we always have someone on site to carry out this service. The majority of our business is from recommendations by previous customers. You can read genuine customer comments on our Facebook page, on Twitter and on our review page. The knowledge that our customer's are completely satisfied and trust us by providing us with their business and recommending us to others is extremely rewarding to us as a team. You can email us with your enquiry or send us photo's of the damage to our email address at carcosmeticsderby@gmail.com or if you would like to discuss your requirements please telephone us on 01332 205502 or call in to see us anytime.